more details, more "real estate", and smoother images. 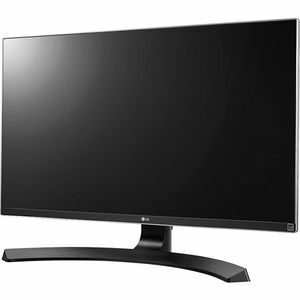 With the IPS sRGB over 99 & Factory Calibration, the 27UD68P-B provides sRGB with over 99 maximized color, based on an IPS panel that offers the most accurate color reproduction by far, the widest viewing angles, and the best-ever visual experience to the users. The 27UD68P-B offers the built-in FreeSync technology. FreeSync technology of AMD eliminates tearing that occurs, in games with the highest visual settings, due to the difference between a graphic card's frame rate and a monitor's refresh rate Therefore, users who use the 27UD68P-B adapted to FreeSync technology with the AMD latest hardware can rest assured that they are enjoying the best experience possible.